A decade in, the groundbreaking school proves ballet cures what ails you, from failing families to failing grades. At most schools, kids slouch to class in droopy denim and stare blankly at the teacher, praying for the bell to ring. 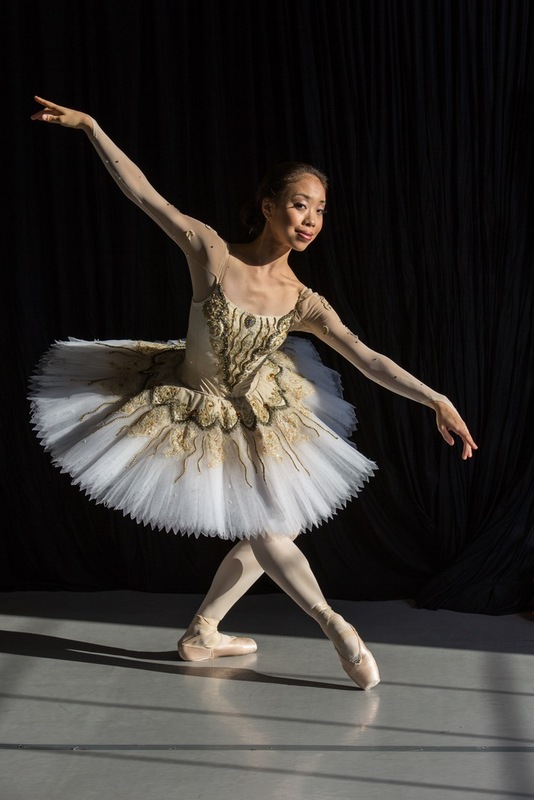 At the Northwest Florida Ballet (NFB) Académie, students glide through their day in pristine uniforms, spending far more time leaping and pirouetting than they do sitting at a desk. It was this revolutionary way to learn that prompted plenty of skepticism when it launched ten years ago. Today, the Académie’s unparalleled success speaks for itself. The Académie’s premise—a free, integrated arts and academic education program for students in third through eighth grades—may seem unusual, but it has been done in Europe for hundreds of years, according to NFB Director and CEO Todd Eric Allen. And while it’s true that most American arts organizations offer outreach programs such as after-school dance classes, they are nowhere near the level Allen had in mind. Even performing arts high schools couldn’t do what he had in mind. “Schools are very good at making standards, curricula, benchmarks, etc., but my goal was to bring the professional world in—to Americanize the European model,” he says, referring to the traditional European system where children who show potential and passion for the arts are given a multidisciplinary education while being nurtured as artists. Allen was familiar with a similar program called Citydance in Boston, one of the cities in which he had danced professionally, but he had his own ideas about how to run the program. First, he reached out to the Okaloosa County School District, which agreed to provide the academic teachers and curriculum. Once they’re accepted into the Académie, school as they know it is over. Rather than pouring over textbooks for eight hours, their days are filled with dance classes, French, music, and art—with some traditional academics thrown in for good measure. Make no mistake, however, students are there for dance. They get ballet report cards, as well as academic progress reports, but their continued eligibility for the Académie is based on improvement in dance. If they’re D students but making great strides in dance, they’re welcome. Schools are very good at making standards, curricula, benchmarks, etc., but my goal was to bring the professional world in—to Americanize the European model. Allen is proud that Académie students are scoring well in math and English, but he’s most excited about the strides they’re making in the dance world. Pointing out that his young ballet artists are being accepted for summer training at elite ballets and attracting attention from influential people, he feels sure some are headed for professional dance careers. In that, he has succeeded. Celebrations on September 28 and 29 marked the Académie’s ten years not only with performances, family fun, and a black-tie event, but also with retrospectives from former students and supporters like Sen. Don Gates, who was the local superintendent during the Académie’s creation. 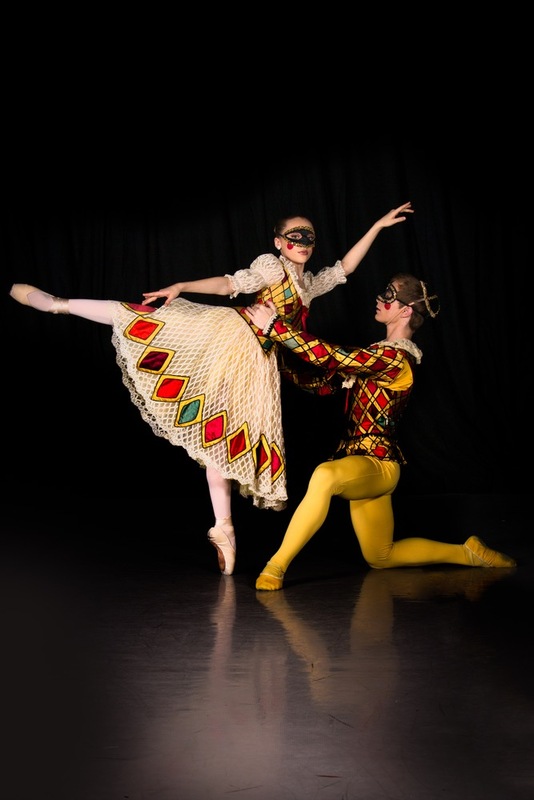 But it was also a time to look to the future, including a new Pre-Professional Program (PPP) for high school students that extends the Académie experience and raises the bar by adding performances with the Northwest Florida Ballet. The PPP builds on NFB’s current relationship with the Okaloosa County School District—whom Allen calls a wonderful partner—by allowing students to get their academics through either the Okaloosa Online Virtual School or by attending Fort Walton Beach High School on a modified schedule. I used to think I had to go to New York to have an impact. But being back home has taught me that you can be a voice in your community no matter where you are. Reading Writing and Releve' – The Northwest Florida Ballet from VIEzine on Vimeo. The goal: acceptance into the nation’s best university dance programs or straight into the world of professional dance. It’s not unheard of for a local kid, as Allen can attest. Thanks to the guidance of NFB Founder Bernadette Clement Sims—and a lot of hard work—Allen launched a career most dancers only dream of, including stints with prestigious companies like Boston Ballet and Les Grands Ballets Canadiens. Along the way, he has performed with luminaries such as Mikhail Baryshnikov and interpreted roles for choreographers including Twyla Tharp. Since coming on board, Allen has been the driving force behind the Académie and the PPP, all while juggling the roles of dancer, choreographer, and director. Though he says he’ll always identify himself as a dancer, he’s evolved into more of a behind-the-scenes powerhouse who has tried to create the kind of environment where he would want to dance. Allen is quick to point out that the accomplishments shared by the company and Académie have been a group effort between staff members, dancers, and supporters—especially the NFB board of directors. “These are business leaders and lovers of the arts who have made a commitment to the mission of NFB and its continuation on the Emerald Coast,” he praises. Next up is an interpretation of Shakespeare’s A Midsummer Night’s Dream March 9 and 10. Also on the program will be a neoclassical ballet, Afterglow, choreographed by Allen. Fresh from the semifinals of America’s Got Talent, Lightwire Theater performs The Ugly Duckling and The Tortoise and the Hare May 3. Next June, NFB takes to the community for a mixed-repertoire performance at Rosemary Beach and A Midsummer Night’s Dream at WaterColor.